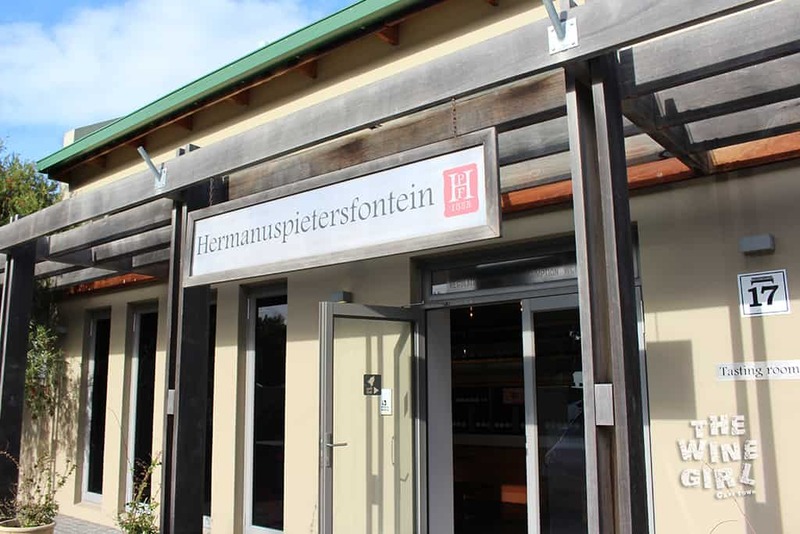 You definitely cannot go to Hermanus without visiting HermanusPietersfonein. The quirky sheep that you will see at this farm have a historic story to tell and is in fact dedicated to the history of origin for the area. Overberg farmers in the early 1800’s preferred their children to be schooled in Dutch, forerunner of Afrikaans. Hermanus Pieters was their man and so they paid him in sheep to teach the children. In 1855, long after his passing, the village was founded in his honour, only for the postmaster in 1902 to shorten the name to Hermanus. 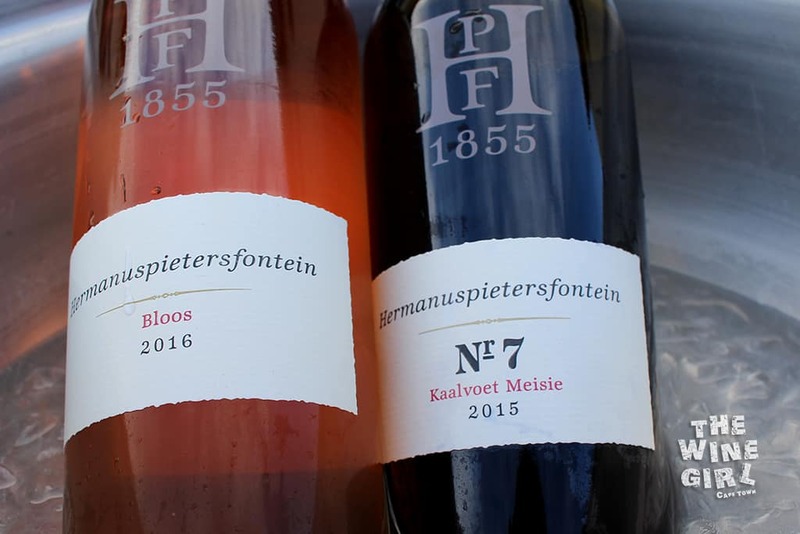 Not only are the sheep really fun, but each label has a unique Afrikaans name like “Kaalvoet Meisie” (Barefoot girl), “Kat met die Hout Been” (Cat with the wooden leg), “bloos” (blush) and skoonma (Mother-in-law). You will certainly have a little giggle reading them all. 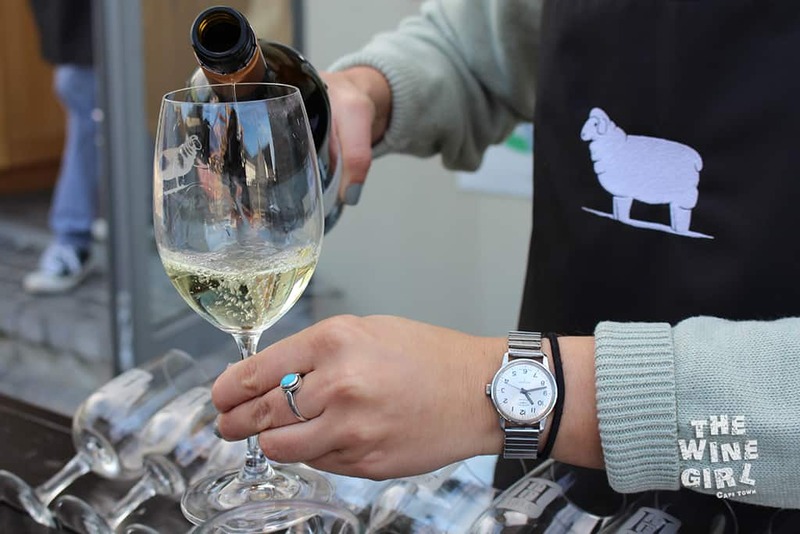 WINE TASTING: It’s FREE every Saturday at the market! 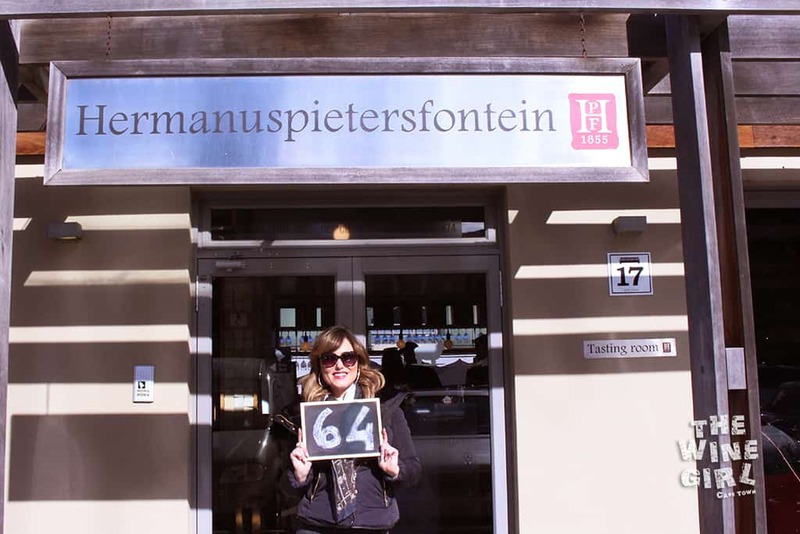 Otherwise, it is R30 for a selected number of wines. SERVICE: The staff are really very friendly and knowledgeable. 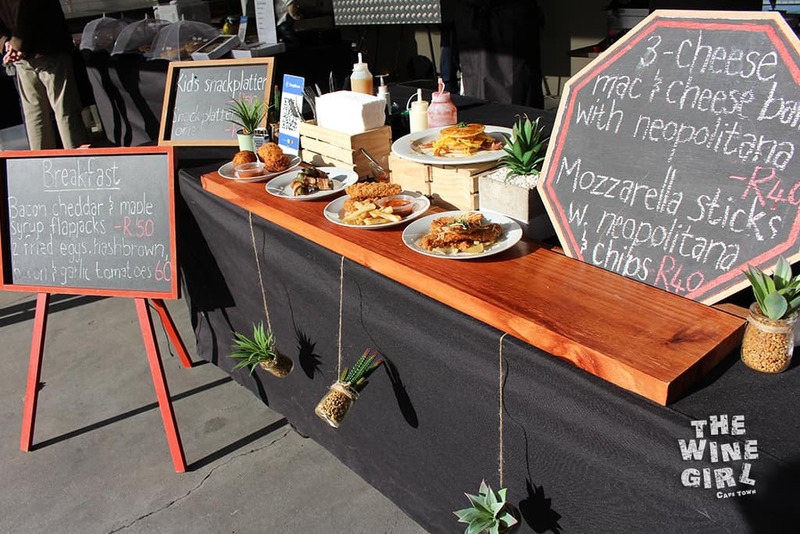 RESTAURANT: Enjoy a vast variety of local food at the farmer’s market every Saturday. Each dish is perfectly prepared, fresh, just for you! 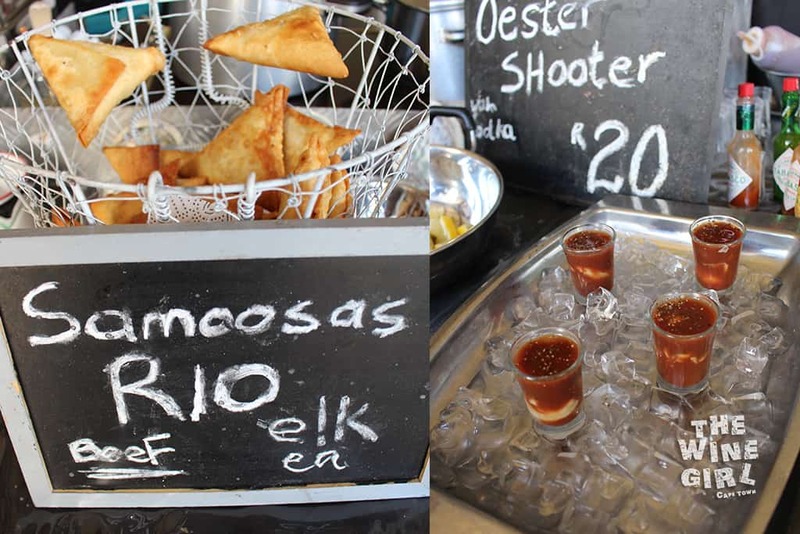 Just check out these traditional Samoosas and oyster shooters! ACCOMMODATION: There are some self-catering cottages. Check them out HERE. CHILD/PET FRIENDLY? Pets and kids are welcome at the family market. I was so wrong 🙂 hehe. 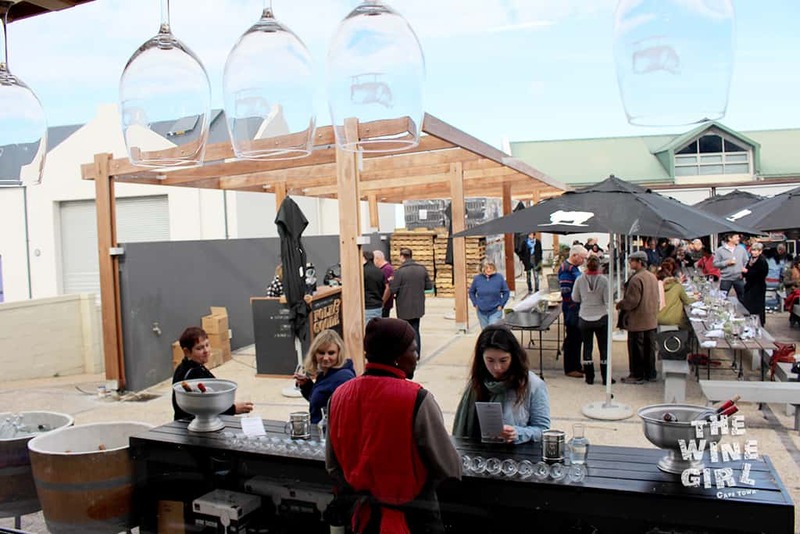 You will walk straight into the very modern and quite large, tasting room. The locals are extremely friendly so you will feel very welcome. Just outside the back door is a large, outside area dedicated to the market. It had such a good, festive vibe! Apparently, the market has traded 52 Saturdays a year, through wind, hail, sunshine and rain. What awesome dedication! 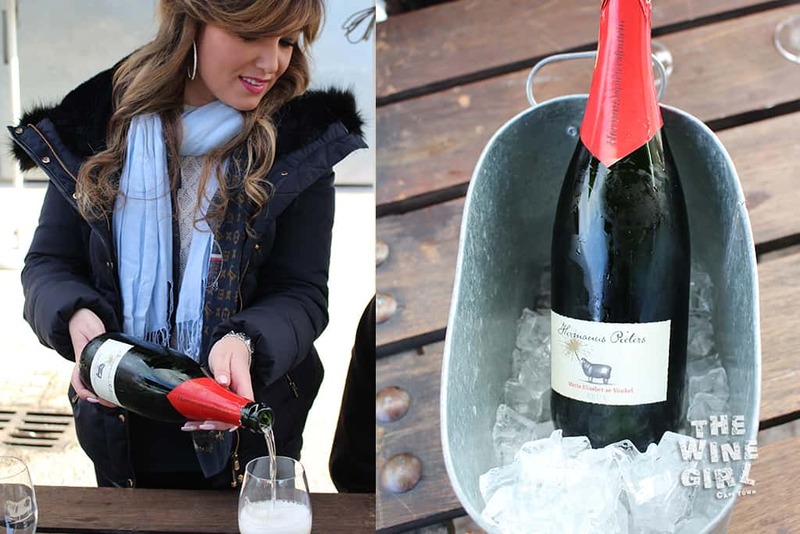 I started off with the MCC on ice to get the taste buds going at 10am – what a way to start breakfast! 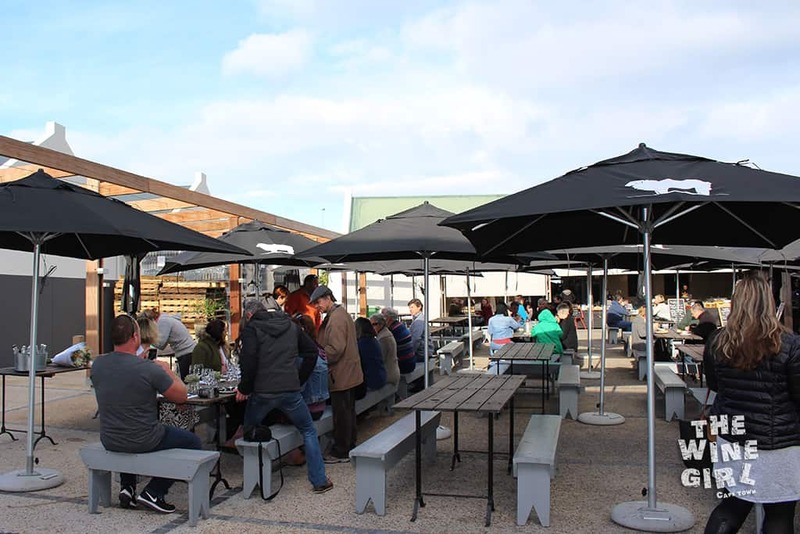 Wine tasting at the market is free! 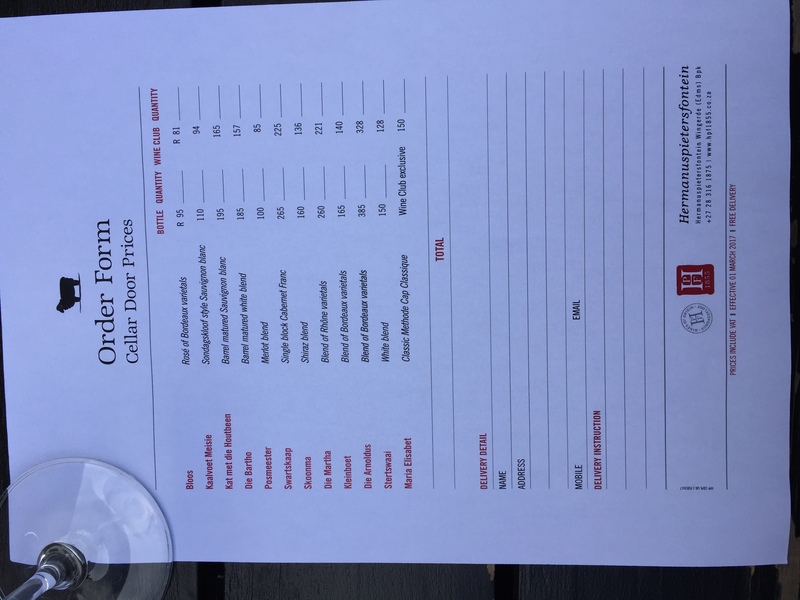 CLICK HERE to view the price list of wines for sale. The service at the wine bar is really friendly and informative. 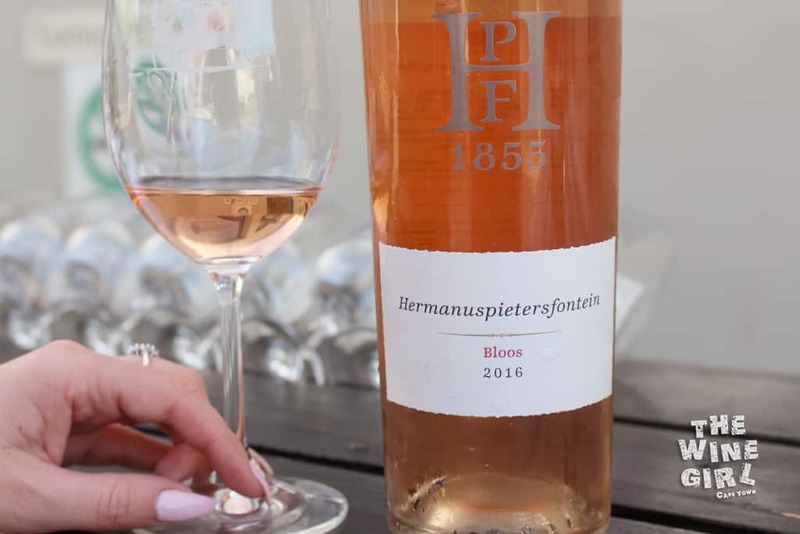 After chatting to the bar staff, they said that the Bloos Rosé wine is one of their best sellers, especially during the Summer months. 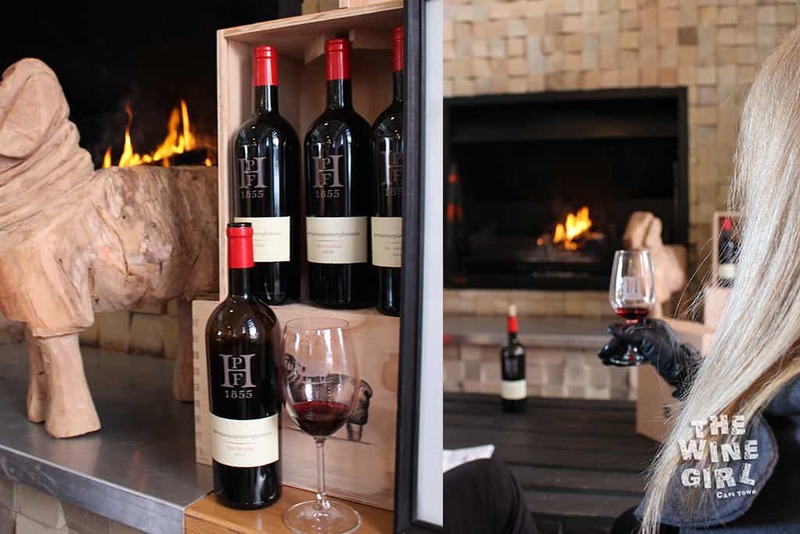 It’s a quality Bordeaux blend of Merlot, Malbec, Petit Verdot, Cabernet Sauvignon, Cabernet franc for R95. It literally smelt like strawberries and cream but it was not sweet. The taste was quite well rounded and complex with good acidy resulting in delightful freshness. My favourite of the day was the Swartskaap 2013. I just had to get some to sip by the fireplace! 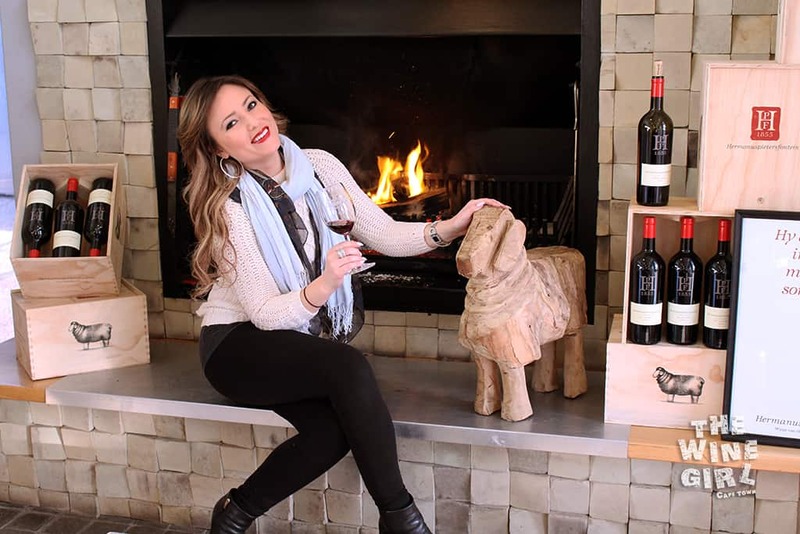 It’s a Cab Franc just bursting with good, hearty aromas of olives, fynbos and spice. It was matured in 1st and 2nd fill French Oak Barrels for 18 months and the result is a delightfully dark, punchy red wine with good minerality. R265 a bottle. It’s not very often that you come across a single varietal, Cab Franc so I was in wine heaven, what a treat! Another great wine was Die Martha. 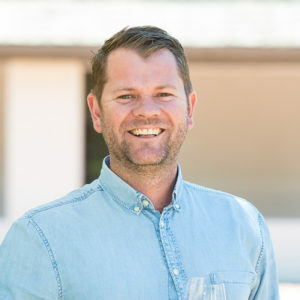 It’s a Rhone blend of Shiraz, Mourvedre, Viognier with a tint of Grenache. 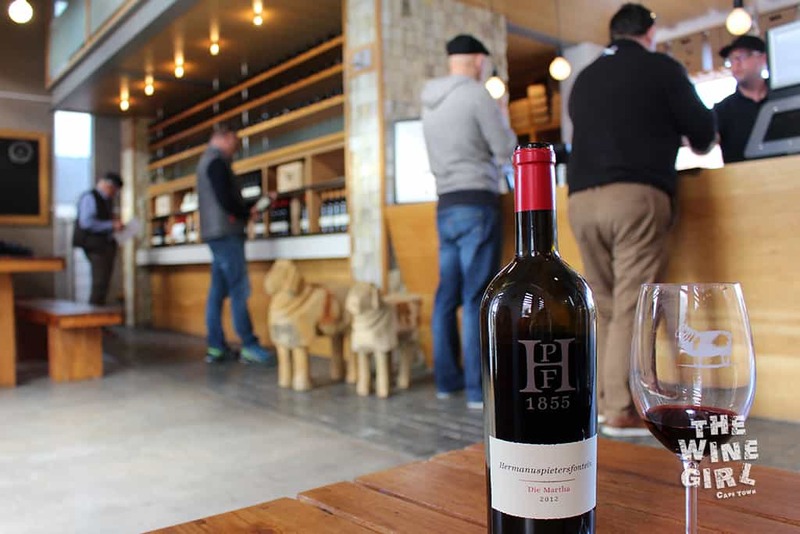 Totally dark in the glass, this spicy varietal reminds me of Christmas time – dark chocolate, sweet spices and some savory hints of olives / salt. On the palate it had incredibly smooth tannin and was well rounded with a lingering finish. 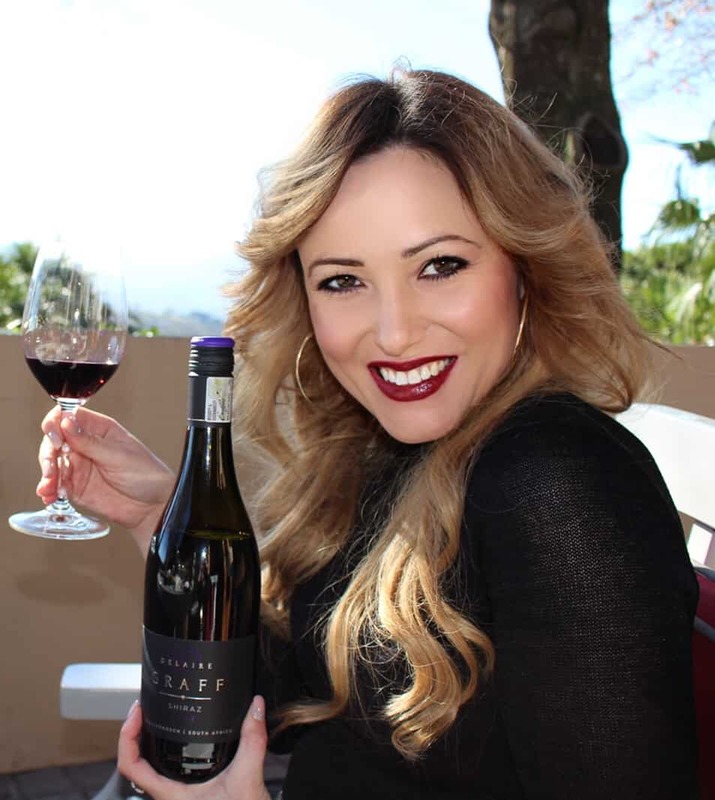 What a great food wine! R260 a bottle. 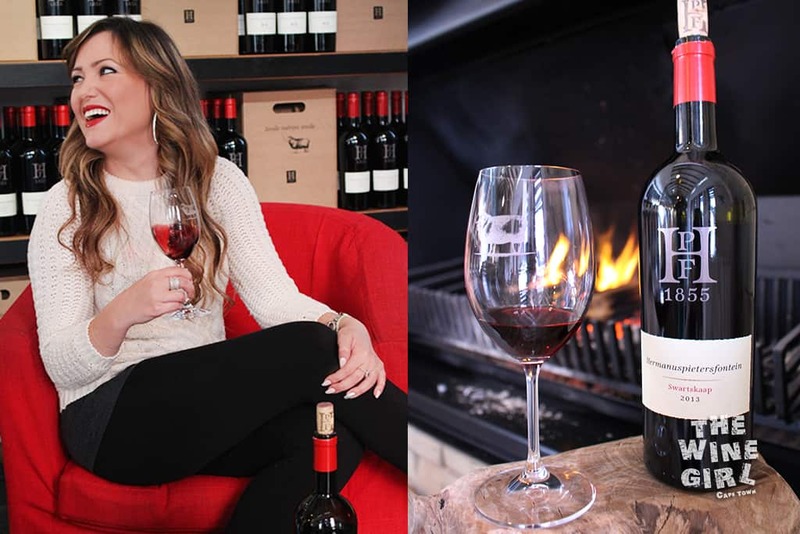 There are limited seats by the fire so if you would like to sip here, I recommend you arrive early to reserve your spot. But once you do, what a delightful treat! I had a great time and would recommend this stop, just on the way into town.